I ask Steele if he feels confident that padres on operational tours can make a difference. He says it could be anything from requesting some leniency over a minor issue to dealing with some of the really big and difficult questions such as leadership on kinetic operations. Then there are the fatalities – “the most shocking events, if you like, for people”. I ask if it is always the padre’s role to identify the dead. Steele explains that early on during Herrick 8 he witnessed a young corporal break down when asked to identify a soldier who had been caught in a blast. He said that he and the Regimental Sergeant Major (RSM) then agreed that “as far as was humanly possible”, they would do the identifications themselves to spare others the task. Steele has faced the trauma of losing soldiers he has come to know well. He refers again to Herrick 8. “Because I had been with 2 Para previously I knew loads of the blokes already and a number of them I was very, very fond of and when you see people you know getting killed it’s quite …” his voice tails off. He pauses then begins again. He says that when there were fatalities he would try to hold a commemoration service within a week for the soldier’s ‘mates’ and as close as possible to where the incident happened. The service would consist of a Bible reading and a couple of prayers, including the regimental collect, but he would always leave the bulk of the time as silence. This entry was posted in Church Times, Interviews and tagged 2 Para, Herrick 8, padre, Rev Alan Steele MBE, the Regimental Collect. Bookmark the permalink. 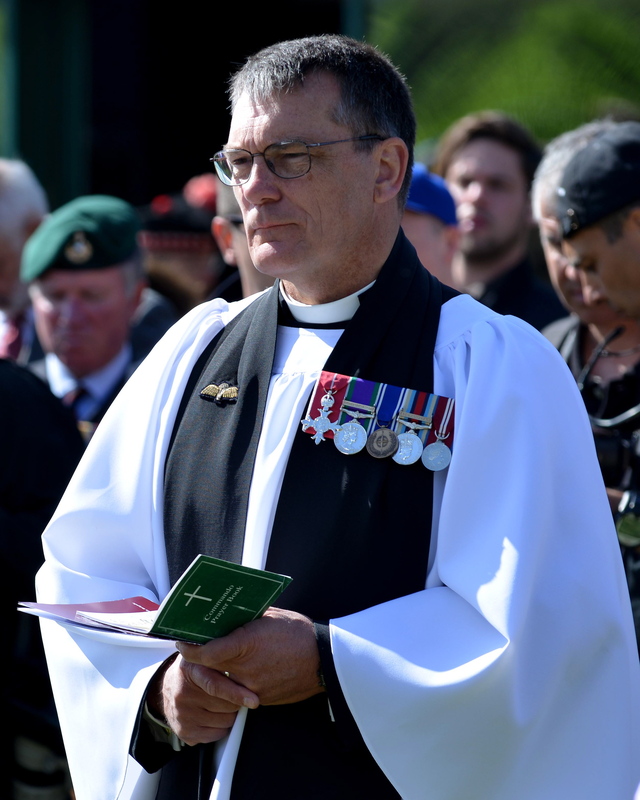 chaplains of the 6th Airborne Division are greatly honored. The author knew very well some of them……………………. Thank you so much for getting in touch. From what I have seen modern day padres continue to serve with selfless courage. I look forward to reading the book you mention.